As you face a changing job market, you may be struggling to adjust and survive. To survive you need to embrace the online market and create multiple streams of income. But how do you do that online? How do you know what online income and business models deliver results and which ones will work best for you? In this comprehensive guide, Hwayda Kater takes you on a journey of her transition from the corporate world to the online business world and shows how you can do the same. This guide will help you assess your lifestyle and income needs, then map out a customized online income blueprint that addresses your current circumstances, personality type, skill sets and interests―something most training and business systems fail to take into consideration. You will learn about three online income models and four online business models that you can mix and match to fit your needs. Because what works for someone else might not work for you. All income and business models outlined in this guide can be started and operated online by one person only and can easily be scaled to any business size you wish to operate. 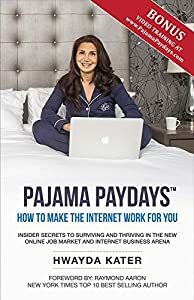 By the time you have finished reading this book, you will know exactly how to make the Internet work for you, regardless of whether you want to be an employee, freelance contractor or business owner. Before you invest in any online training or business programs, make sure you read this book first. It will save you a lot of time and money going down the wrong path that might not be the right fit for you. Following the success of his #1 bestselling book, "How to Launch a Brand," acclaimed brand strategist Fabian Geyrhalter is back with an enlightening new book that digs deep into today's new world of brand creation. 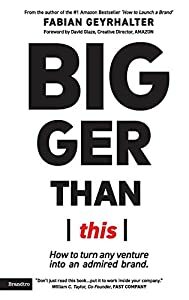 "Bigger Than This" challenges companies - from startups to Fortune 100s - to (re)discover their spark and connect with today's consumers on a deeper level. In "Bigger Than This," Geyrhalter analyzes brands that are based on commodity products - watches, socks, shoes, fish - yet they quickly turn into beloved brands. He emphasizes the importance of storytelling, encouraging brands to embrace 8 simple traits these brands showcase and offers specific, actionable commandments that any brand can implement - story, belief, cause, heritage, delight, transparency, solidarity, and individuality. Instead of playing "dress-up," he wants businesses to uncover the roots of their ventures and share honest, empathetic stories that resonate with consumers, creating a loyal following that leads to strong, successful brands. 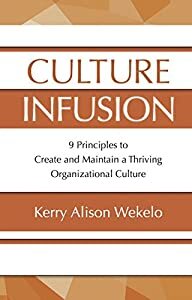 Culture Infusion is your guide for improving corporate culture and motivating your employees to perform at their highest capacity. Culture Infusion is for leaders and aspiring leaders who want to build a legacy, shift perspectives, and lead by example so others are inspired and driven to be their best selves. Whether you are a top-level executive or lead a team, you will find valuable insights in this book on how to create and maintain a sought-after workplace. You'll learn how to infuse a culture of holistic wellness into all aspects of your organization, from your people to your programs, and how you must thrive personally in order to lead others. Actualize Consulting learned firsthand that effective cultural change starts on a personal, individual level. They spent years building a strong foundation to improve corporate culture, and they now understand that happy employees lead to happy clients. As Managing Director of Human Resources and Operations for Actualize Consulting, author Kerry Alison Wekelo brings us a front-row seat perspective on her experiences, blending her corporate knowledge with her mindful wisdom. Culture Infusion provides nine easy, actionable principles to help you develop a customized game plan to improve your corporate culture and catapult your team to success. You'll discover key tips and tricks such as the three A's (Accountability, Acumen, Aspiration) that will aid in goal setting and performance reviews, and the 3P Method (Pause to Pivot to a Positive) that will change how you view every challenge and lead you to communicate more effectively. 10X Your Marketing & Branding for Coaches, Consultants, Professionals and Entrepreneurs! 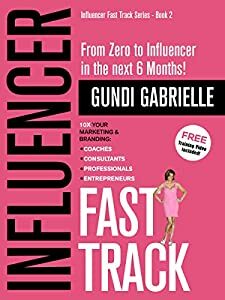 "Reading Gundi's book gives you the 'Kick in the Pants' motivation of a Tony Robbins event". Aristotle and Nike got it right – GREATNESS is what we humans DO – when given the challenge, the encouragement, the environment, and the opportunity. At some point in this postmodern life, individual greatness has lost its appeal for many of us. It has been commodified and relegated to those who are measured by shortest/longest times, impressive distances, highest heights, lowest lows, medals won, honors given…and again…Aristotle and Nike got it right…GREATNESS is what we can DO…every day…without recognition or reward, but for the satisfaction that comes from meeting the challenge, creating a team, and overcoming the odds. And that is what Growing Weeders into Leaders is about. 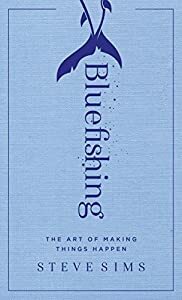 It is an entertaining and thoughtful look into the hearts and the workday lives of ordinary people - just like you and me - who tapped into their inner greatness in pursuit of a vision. Creating one of America's most beautiful college campuses, at Ole Miss, did not happen overnight and, inside these pages, Jeff McManus describes the joys, the defeats, the brilliant problem-solving and the "best laid plans" that are proven worthless...until the bigger picture is told. It is the "bigger picture" told from the ground level. 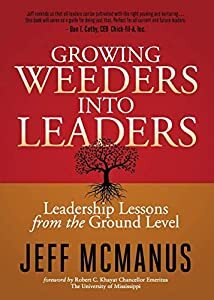 Growing Weeders into Leaders takes you through the practical applications of empowering people to experience not only what it means to grow outstanding landscapes, but also to grow greatness in themselves and encourage it in others. Agile Scrum is for those interested or involved in innovation, project management, product development, software development or technology management. It's for those who have not yet used Scrum. It's also for people already using Scrum, in roles such as Product Owners, Scrum Masters, Development Team members (business analysts, solution and system architects, designers, developers, testers, etc. ), customers, end users, agile coaches, executives, managers, and other stakeholders. 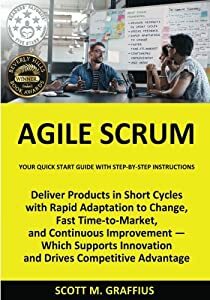 For those already using Scrum, this guide can serve as a reference on practices for consideration and potential adaptation. Credit to Chris Hare and Colin Giffen, the technical editors on the book. Christie Lindor is once again an award winning author! Her book, “The MECE Muse” is an Award-Winning Finalist in the Business: Careers category of the 2018 Best Book Awards sponsored by American Book Fest! The MECE Muse is a Bronze Winner of the 2017 Wishing Shelf Independent Book Award and a playbook of how you too can become a great world-class business consultant! Great consultants possess a je ne sais quoi that are equal parts confidence, passion, technical acumen, purpose, and charisma. Great consultants are authentically imperfect; they take life by the reins and forge ahead with certainty no matter how complex a situation is, in an almost effortless way. Great consultants are humble yet make everyone around them step their game up. Great consultants take care of their people. Clients thank good consultants; clients are wowed by great consultants. Management consultant Christie Lindor has quietly been on a mission to be the mentor she wishes she had earlier in her consulting career. With 15+ years of experience working at top management consulting firms, Christie is now sharing secrets of great consultants in this new consulting business book. Christie conducted research by connecting with over 50 top consulting partners across 27 consulting organizations on what makes a great consultant, including thought leadership from 8 out of the top 10 consulting firms in the world. The MECE Muse is an insider's guide to consulting, providing invaluable insights and practical knowledge including unwritten rules, career strategies, in addition to interviews from top industry consulting leaders who relate their personal experiences and offer unique perspectives on building and maintaining a successful consulting career. 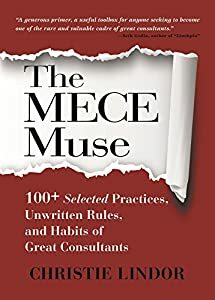 Purchase The MECE Muse because it is an insider's guide to consulting, providing you with invaluable insights and practical knowledge including unwritten rules and career strategies on building and maintaining a successful consulting career. Do you want to stand out from a sea of competitors, and not just sound like everyone else? Do you want to attract more profitable customers – automatically? Are you struggling to create a memorable marketing message? Or are you tired of being the 'best kept secret' in your market? Business owners and entrepreneurs - you need to read Don’t Sell Me, Tell Me - as soon as possible! 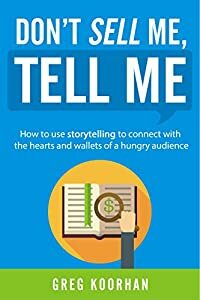 In this book you’ll learn how to use storytelling techniques to build trust with your ideal audience, engage hungry buyers and banish mediocre marketing forever. Learn how to tell a better story and connect with a loyal audience by scrolling up and clicking the BUY NOW button at the top of this page! Do people see you as the kind of leader you want to be? Are your strongest leadership qualities getting in the way of your greatness? 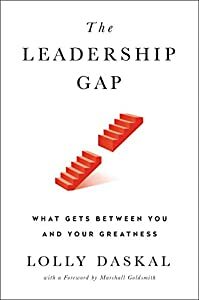 After decades of advising and inspiring some of the most eminent chief executives in the world, Lolly Daskal has uncovered a startling pattern: within each leader are powerful abilities that are also hidden impediments to greatness. She’s witnessed many highly driven, overachieving leaders rise to prominence fueled by well-honed skill sets, only to falter when the shadow sides of the same skills emerge. ■ The Rebel, driven by confidence, becomes the Imposter, plagued by self-doubt. ■ The Explorer, fueled by intuition, becomes the Exploiter, master of manipulation. ■ The Truth Teller, who embraces candor, becomes the Deceiver, who creates suspicion. ■ The Hero, embodying courage, becomes the Bystander, an outright coward. ■ The Inventor, brimming with integrity, becomes the Destroyer, who is morally corrupt. ■ The Navigator, trusts and is trusted, becomes the Fixer, endlessly arrogant. ■ The Knight, for whom loyalty is everything, becomes the Mercenary, who is perpetually self-serving. Using psychology, philosophy, and her own experience, Daskal offers a breakthrough perspective on leadership. She’ll take you inside some of the most cloistered boardrooms, let you in on deeply personal conversations with industry leaders, and introduce you to luminaries who’ve changed the world. Her insights will help you rethink everything you know to become the leader you truly want to be.